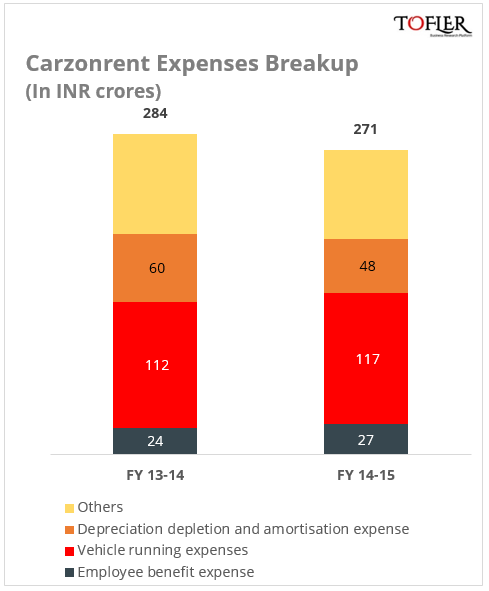 Carzonrent, which owns and operates radio taxi service Easy Cabs, has reported revenue of INR 263 crores in FY 14-15. Easy Cabs which operates in Delhi, Bangalore, Hyderabad and Mumbai, contributed 19% to the company’s revenue. Interestingly, the company made INR 175 crores from renting cars alone. 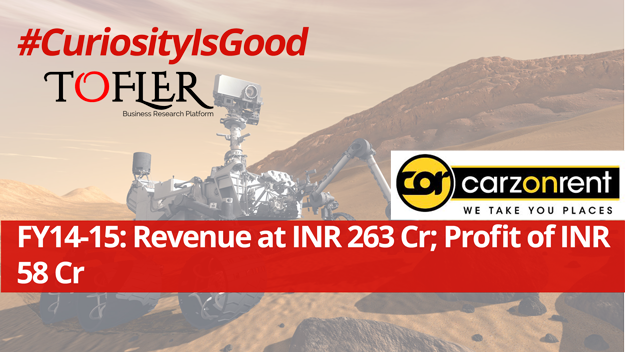 The company reported revenue of INR 263 crores in FY 14-15, a decline of 11% over the previous year’s INR 295 crores. This decline is however, due to the company selling off its Operating Lease segment for INR 80 crores. This also resulted in the company’s profits jumping from INR 6 crores in FY14 to INR 58 crores in FY15. The expenses for the company stood at INR 271 crores, which mainly consisted of the ‘Vehicle running expenses’ at INR 117 crores and employee expenses at INR 27 crores. Carzonrent operates car rental, self-drive (“Myles”) and radio taxi (“Easy Cabs”) services across India. Starting out in 2000, it is among the oldest players and the market leaders in the segment. The company started with car leasing and entered into taxi segment with Easy Cabs in 2006 and self-driven segment in 2014 with Myles. It has its own dedicated fleet of 6500 cars to provide the services. 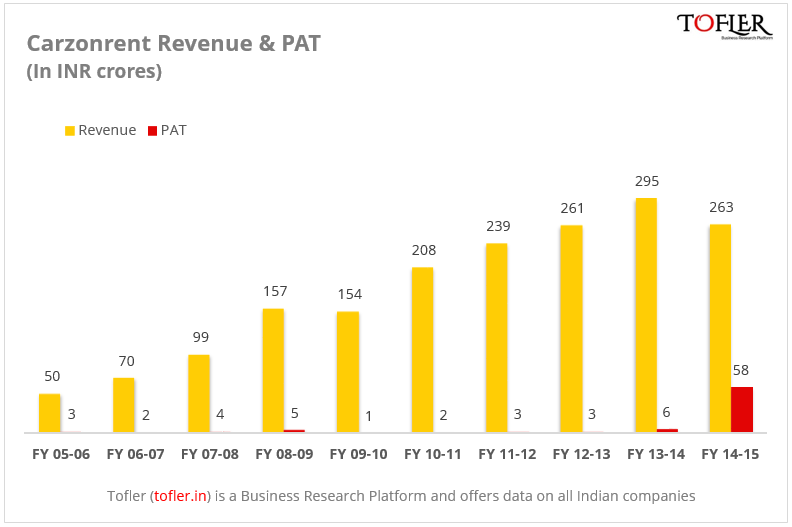 It has raised INR 55 crores from Sequoia (in 2006) and BTS India (in 2011). Other players in the car rental segment include Zoomcar, JustRide, Savaari among other smaller players and the unorganized operators as well. 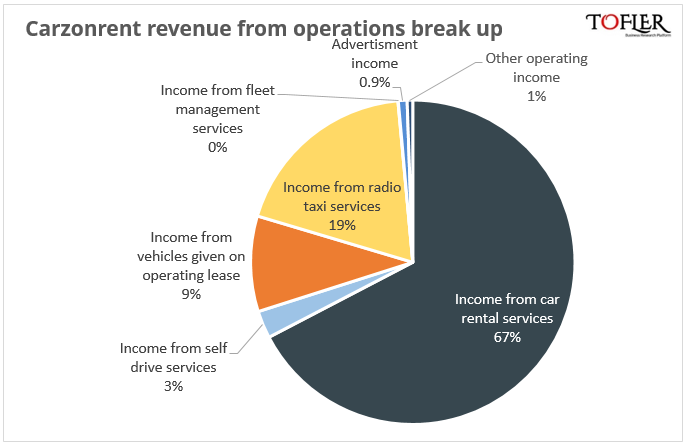 In the taxi segment it faces stiff competition from the heavily funded players like Ola, Uber and Meru Cabs for a share of the INR 50,000 crore industry. What distinguishes Carzonrent from its peers is its strengths in terms of corporate and retail customer base, airport presence, partnerships with airlines and hotels, chauffeur drive and self-drive services, own dedicated fleet of cars, visible and recognized brands and innovative technology platforms. The ground transportation industry has been attracting big players with heavily-funded pockets. Carzonrent has bet big on its self-drive/ car sharing service “Myles”, and plans to expand the operations to 100 cities across India with a fleet of 5000 cars. It also acquired Bangalore based ride sharing startup Ridingo in April 2015.